Liberation for Talib Kweli meant freeing himself from the notion he had to be everything to everyone. With its slow stew of heartbeat drums, melting guitar riffs and altar boy confessions, "Everything Man does the job. The tone is set for Ear Drum, Kwelis best album of beats and rhymes since Reflection Eternal or Quality. "NY Weather Report is unerring in its aim. Caught in the crosshairs is the "ghetto/gangster mentality, which buckles under the stress of his lyrics: "Females left to raise up a son/from the day he was one until he 20 and he raised up a gun/and get to blazing for his place in the sun. Religion charges back to the forefront on songs of redemption ("Hostile Gospel Pt. 1 or "Hell) without causing non-religious types to squirm. Kanye West, will.i.am, Just Blaze, Hi-Tek and Pete Rock prop up the pulpit. But as good as their beats are, they bow to Kwelis flow. Even the ho-hum tracks snap with electricity, which gives life to the mundane. But its "Electrify, where Kweli voices the complaints his fans first lobbed in his direction, that shows the MC is back at his peak. 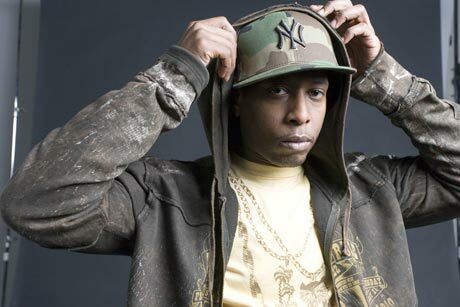 Who is Talib Kweli making music for these days? I make the music that I want to hear. And if people get with it then I love it. But its not like I go out and make music for any fan. I think its dangerous for any artist to do that. I do know who Im selling to: kids on the internet, kids who buy mixtapes, kids who are into hip-hop, kids who go to concerts. Thats my fan base, not that person who casually turns on commercial radio [but] someone who has a little more invested in the music. In your new position as owner of Blacksmith Records, what do you feel you owe to developing rap music, if anything?